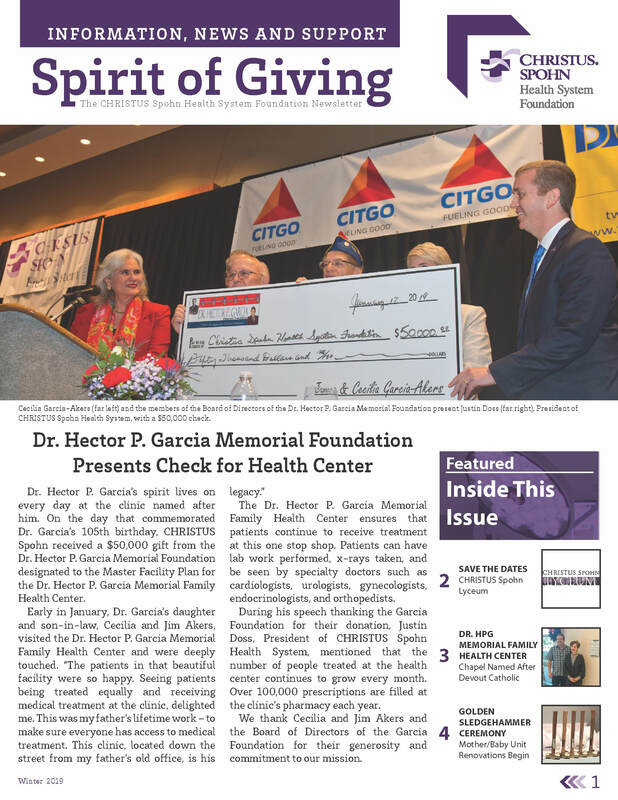 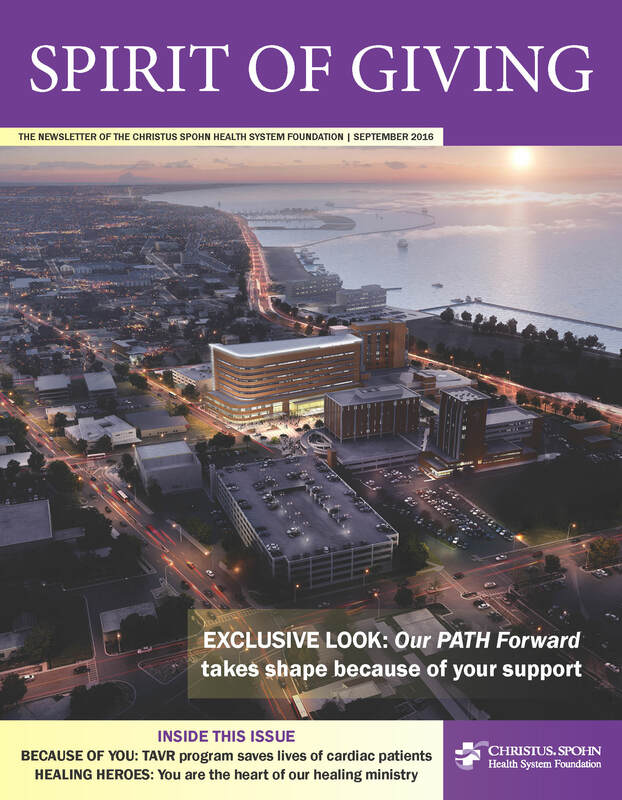 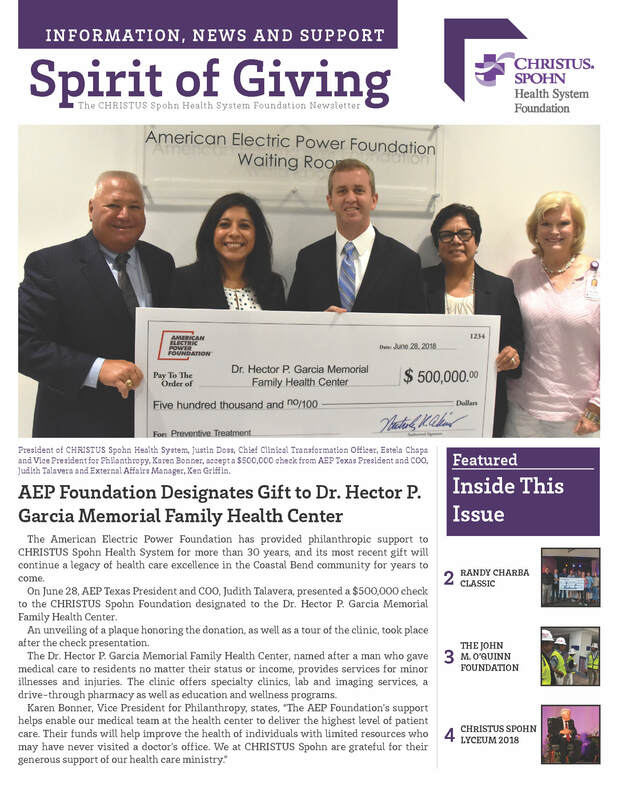 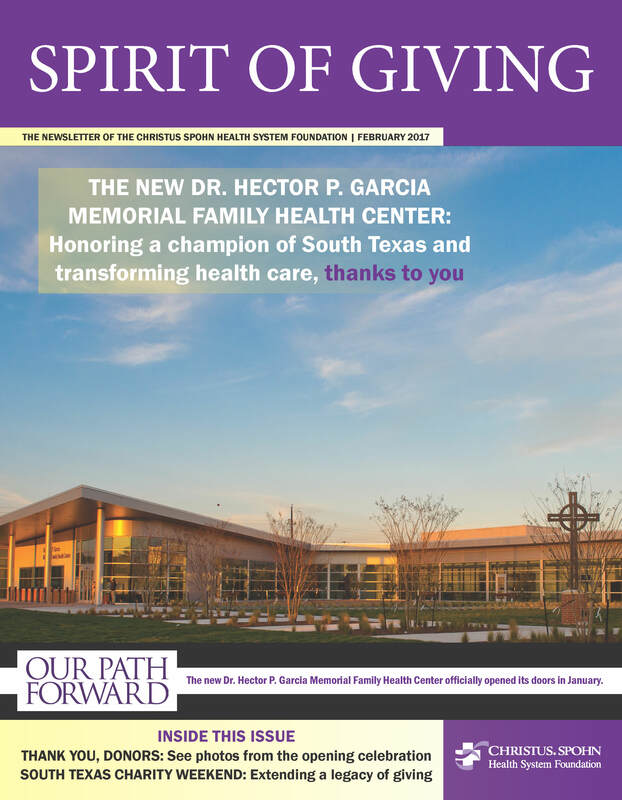 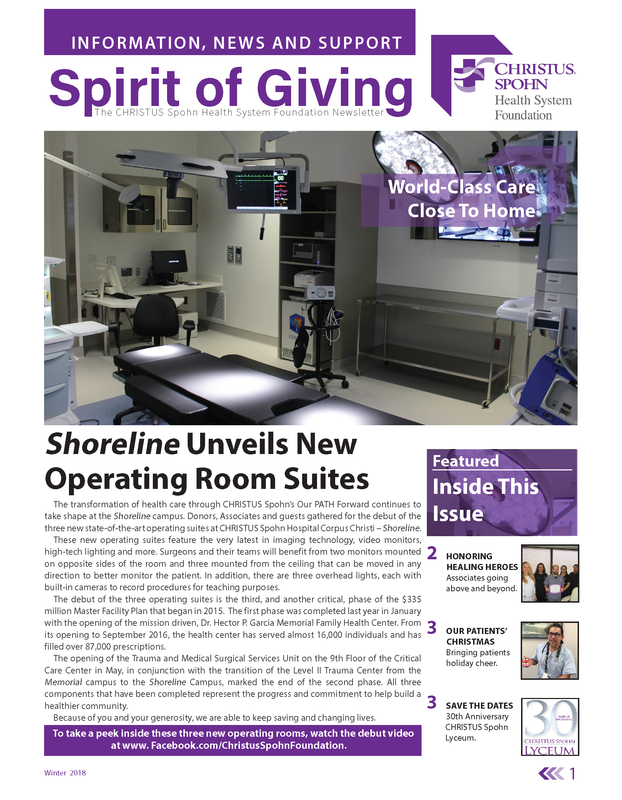 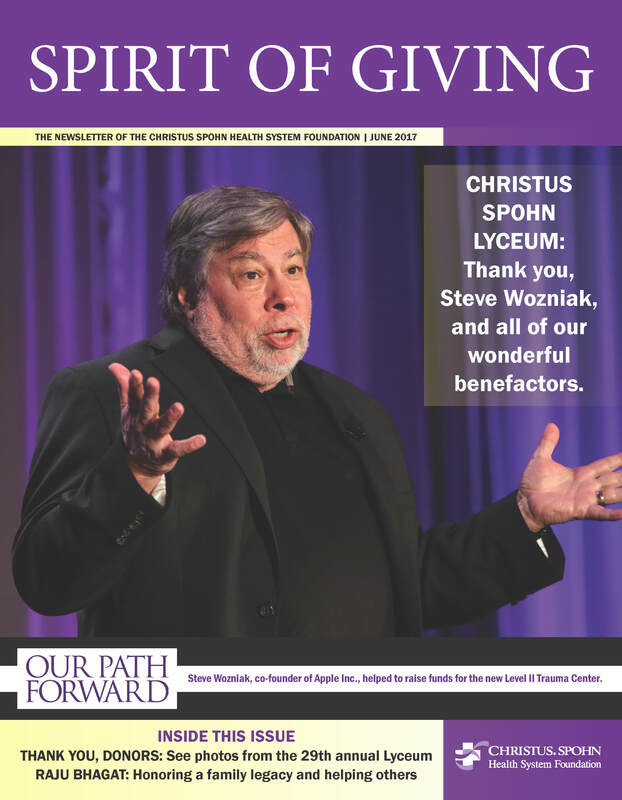 CHRISTUS Spohn Health System Foundation’s Spirit of Giving newsletter highlights current updates on past fundraising campaigns, new projects the Foundation supports and popular events. 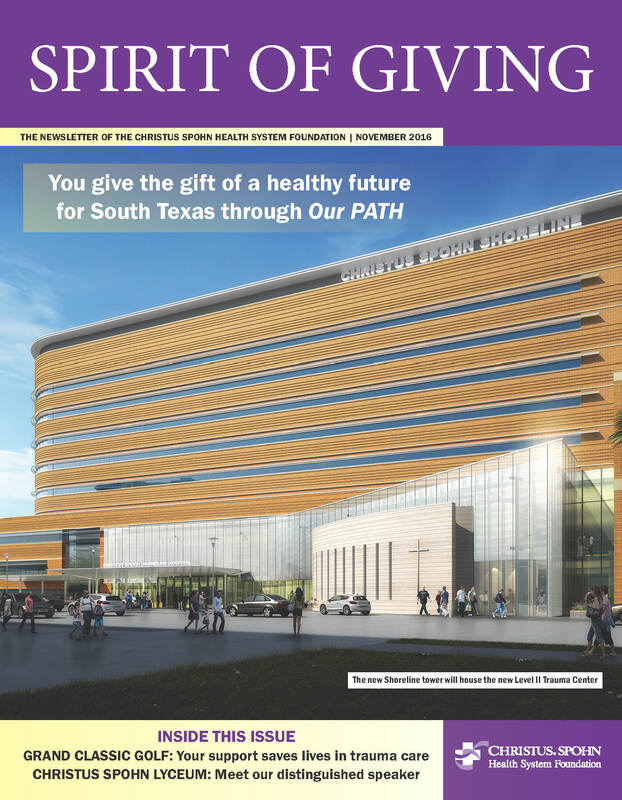 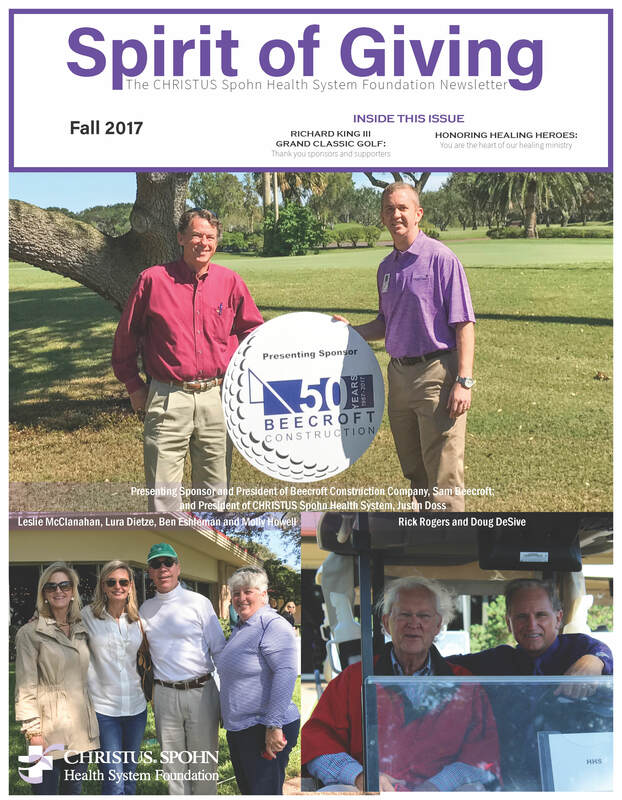 For additional newsletter information, contact the CHRISTUS Spohn Foundation by phone at 361-881-3505 or email us at christusspohnfoundation@christushealth.org. 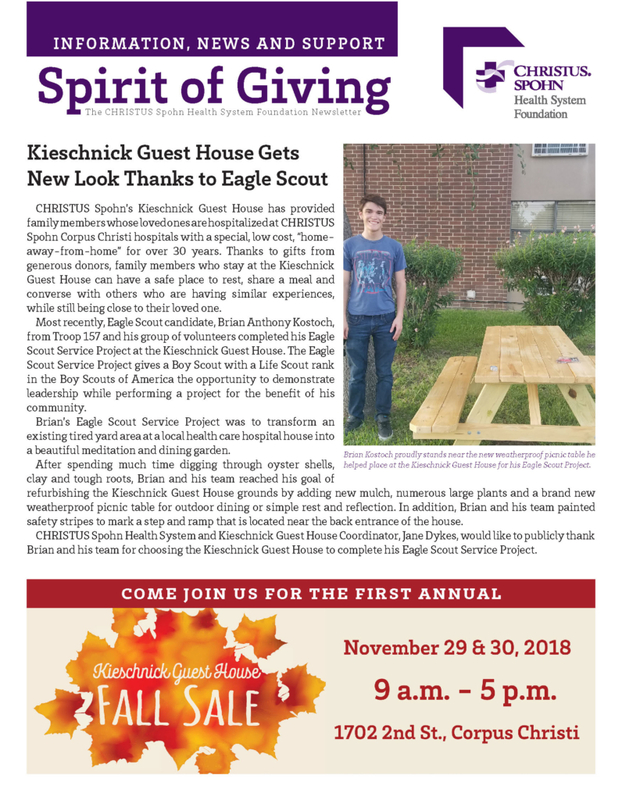 Please click on an image below to read a past issue of our Spirit of Giving newsletter.